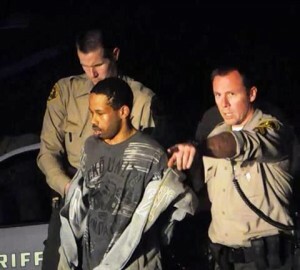 PALMDALE – Helpful residents and a quick response helped Palmdale deputies nab a suspected burglary suspect shortly after a home break-in Saturday afternoon, authorities said. 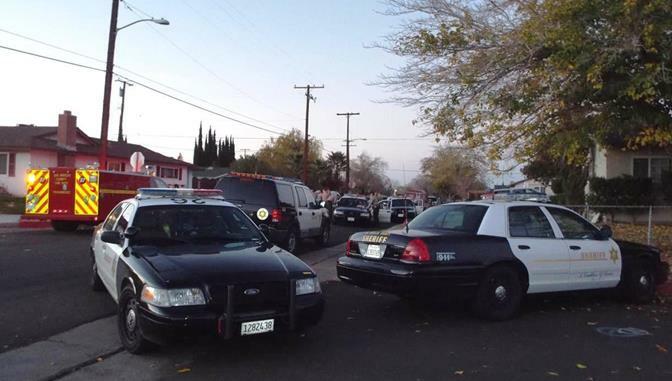 Around 4:40 p.m., deputies received a “burglary now” call in the 38600 Block of Glenraven Road, according to Lt. Darren Harris of the Palmdale Sheriff’s Station. Harris said residents were helpful in guiding deputies to the suspect. “There was a brief struggle with the deputies but they were able to take him into custody,” Harris said. The suspected burglar, 31-year-old Michael Davis, is facing charges for burglary and could potential face charges of resisting or obstructing a peace officer, as well, Harris said. With the holiday season in full swing, authorities are warning residents to be extra vigilant in protecting their homes against thieves. Don’t let a thief ruin your holiday! Below are some tips from the City of Palmdale’s Public Safety Office that you can use to help prevent your home from being burglarized. Avoid placing gifts or valuable interior decorations within view from a window. Avoid displaying valuable items such as TVs and computers near windows with open drapes or shades. Secure exterior decorative lights or hang them out of reach. Don’t post your holiday trip on social media until you return. You never know who might see the post and discover you’re out of town. If you are traveling during the holidays, you can contact the Palmdale Sheriff’s Station and request a “Vacation Patrol Check” of your home. Let officials know what dates you will be gone, a contact number, and if anyone has your permission to be at the house (to water the plants, feed the animals, etc.). Once logged, your home will be periodically checked by Volunteers on Patrol. The volunteers immediately report any suspicious activity to deputies for further investigation. Never leave doors or windows unlocked when leaving home, including second floor windows. Secure all obvious points of entry to your home. Pretend you are the burglar and plan how you would break into your own house. Install secondary locking devices (such as anti-lift devices, through-the-door pins, or track screws). Create the illusion that you are home using timers on lights, radios, and televisions. Use a timer or photocell to automatically turn on lights at dusk. Leave porch lights on throughout the night, even when you are home. Keep shrubbery near doors and windows trimmed. Don’t provide the burglars with a hiding place or climbing platform. Use highly visible alarms signs, “Beware of Dog” signs, or Neighborhood Watch decals. Don’t leave your garage door transmitter in your vehicle, or at least keep it out of view (the visor is not a good place). Also, keep the door locked leading from the garage into the house. If the burglar gets into your car you don’t want to give him/her easy access to your garage and then your house. Keep extra keys out of sight and in a safe place. Never hide a key outside, most hiding places are obvious to burglars. Organize a Neighborhood Watch group to protect your neighborhood. Contact the city of Palmdale’s Public Safety Office at 661-267-5170 or at publicsafety@cityofpalmdale.org. 3 comments for "Suspected hot prowl burglar captured, home burglary prevention tips"
It’s very reassuring that the community reacted so effectively as well as a rapid law enforcement response. Thank you deputies!!! Great job!!!! So glad he got caught! I’m sure there’s more off them connected to this crime! Good job to the quick response from the citizens n officers!